In the music industry, people like Mark Wilkinson are hard to come by. His history reads like a house music bible. Across the globe he’s deejayed in over 65 countries, produced with the world’s greatest music makers, had chart topping success, and shaped half a dozen production monikers along the way; and this is a mere drop in the ocean of his career. Mark’s personality is larger than life, which is why he’s such a success: say ‘Mark Wilkinson’ to most people in the business and nine times out of ten you’ll get a story back about a time when they crossed paths with him… Since the early 90’s, Mark’s recording career has gained at fast pace and today is still as successful as ever. One of his first projects ‘Problem Kids’ was with Rocky from the infamous Xpress2, which saw the kids releasing their music on labels including Junior Boys Own and Paper Recordings. Mark, now fully smitten by the music teamed up with legend house producer Paul Jackson to create the outfit ‘Kidstuff’ whose records went onto be signed by the UK’s biggest house label’s, Defected and Azuli Records. After a string of releases, Mark felt a platform to release his own tracks and tracks he loved by others, was in need. Keeping with the theme that had developed, Kidology Records was conceived. It was during this time that his most current and probably most popular guise ‘Dab Hands’ was born. 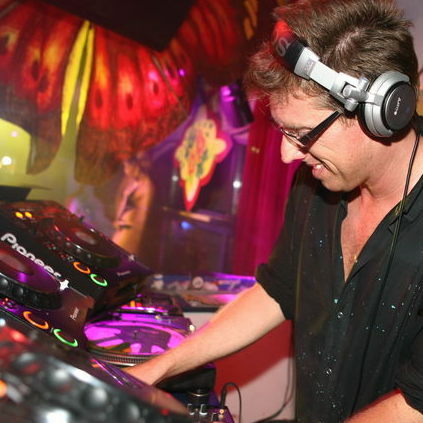 Dab Hands has had success for remix duties on Lou Reed’s ‘Satellite Of Love’, which made it into the Top 10 of the UK national charts; with 'Supergood' - a cross over hit on Virgin / Ten Records in 2005, and ‘DYOT’, which was later released on Gusto Records, was an ‘essential new tune’ for Radio 1’s Pete Tong.. Mark gave his own name a working in May 2007 by releasing ‘Playground Stuff' on Phonetic Recordings as his first ever release under his own name. Not to rest on his laurels, Mark runs his own parties named after his label ‘Kidology’, now firmly established as one of London’s strongest & stylish nights out, Kidology has held the fort at Ministry of Sound, AKA and The End, the legendary club The Cross, Pacha, Plan B, The White House & Cherry Jam London amongst many others. The formation of ‘The Kidology Kidettes' -a group of outgoing girls who made the party into a vibrant, colourful affair, was a fun sideline to Mark’s great music. Kidology’s ethos is about putting the 'party' feeling back into club land. It's outrageous, flamboyant, and friendly. Kidology parties have a mix of gorgeous and loyal fans, saucy Kidettes, superb quality music, excellent production, and a vibe like no other. Kidology has quickly become the name on everyone's lips. In 2008 Kidology went to Ibiza in style hosting El Divino Ibiza & many International tours as a result, and the launch of a DJ mix CD London After Dark. 2009 was no different, with Kidology nights regularly across the UK in London, Bristol, Leeds, Brighton & then an amazing tie up for the Summer with Salvacion Ibiza for every Tuesday night @ El Divino Ibiza presenting a new night ‘IBIZA REPUBLIK’. Mark had his own dream 16 week Summer season in Ibiza playing to a sell out crowd in Ibiza town every week. Moving forward into 2010 Mark Wilkinson has some hot new releases coming your way including his remix of a classic ‘Mark Wilkinson Vs Degrees of Motion- Shine On’, collaborations with Danny Rampling, KKlass, Steve Edwards, Redsoul & Andrea Love, Paul Jackson, MJ White, Grave Under Pressure & Danny Marx alongside Kidology London & Ibiza Republik nights across the globe, London’s freshest nightclub brand goes from strength to strength. 2010 will also see the launch of a new night, Discodaze. Taking Mark back to his music roots playing 80’s, funk, soul, disco & classic house to be hosted at the uber cool Shoreditch House, Cherry Jam & Grand Unions London.